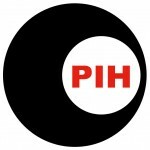 PIH are a large engineering company based in the Northwest of England that specialise in the protective outer coating on pipelines for the gas and oil industries. The project involved the installation of a multimode fibre optic “Backbone” that would support 10GB bandwidths between two campus buildings. With this brief Lucas Communications specified a 16 core OM3 wire-armoured cable that would be terminated on site using a Fitel Fusion Splicer. All terminations where verified using a Noyes M100 OTDR.